Ling Ling Asian Entrees are a simple and delicious addition to our family meals. Save yourself a trip and the expense of takeout and try Ling Ling Yakiniku Beef Fried Rice. 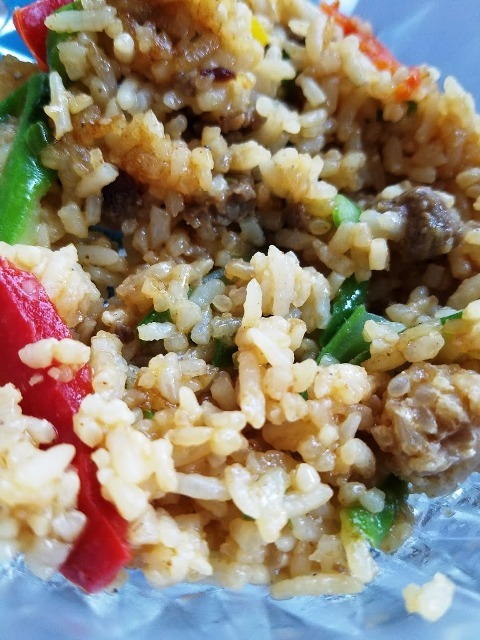 My family and I really enjoyed the Ling Ling Yakitori Chicken Fried Rice and the Ling Ling Bibimpap Beef Fried Rice, so I was excited to try the Ling Ling Yakiniku Beef fried Rice. I enjoy the skillet cooking method which produces a crispier texture, but microwaving also is delicious for a softer texture. Each box of Ling Ling Rice includes two bags of fried rice. It’s full of tender meat and veggies, there is no need to add any other seasonings. 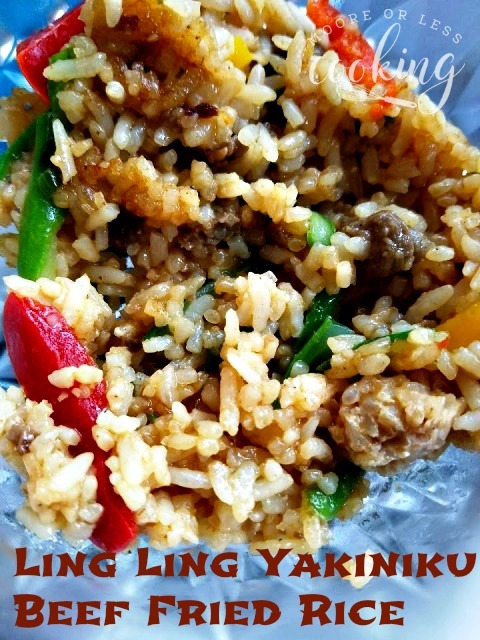 I enjoy eating Ling Ling Fried Rice as an entree for lunch or dinner, especially when I am short on time and would like a quick and easy meal. 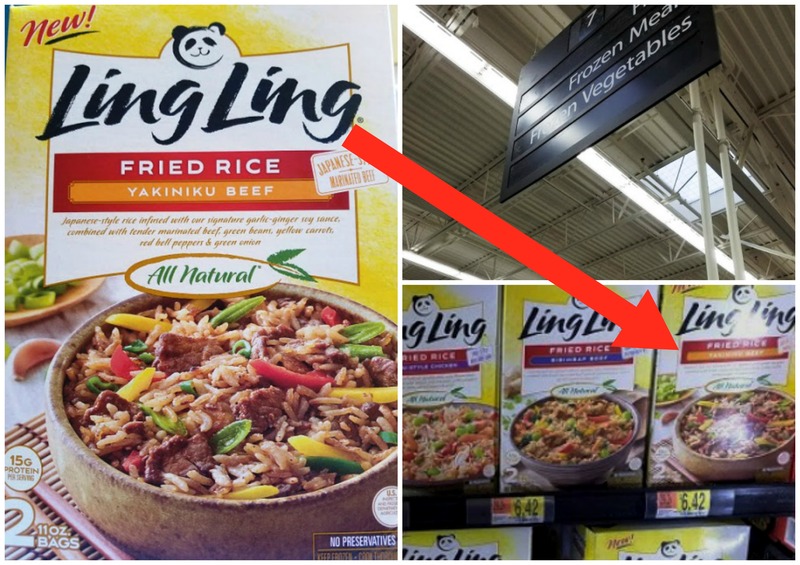 I am so happy that I can find all of the Ling Ling Entrees at my local Walmart. Make sure to look for the newest Asian Entrees, Ling Ling Noodles and Dumplings – also based on authentic Asian inspired recipes from across the region at your local market. There are Two Noodle varieties; Chicken Yakisoba, Drunken Noodles with Chicken and Two Dumpling varieties; Chicken Dumplings in Chili Sauce and Pork Dumplings in Chili Sauce. I think it is interesting that Ling Ling delivers superior flavor and exceptional taste because of the way they we cook using an Infusion Cooking Method. This means that each grain of rice and noodle is infused with Ling Ling signature sauces for incredible flavor in every bite. You may not be able to taste the difference between Ling Ling Fried Rice, Noodles or Dumplings and your restaurant favorites! I know I can’t. You will find that with Ling Ling Asian Entrees, staying in tastes like going out. Please click here for a coupon offer of $2 off a box of Ling Ling Fried Rice, Noodles or Dumplings at any retailer where the products are sold. I am excited to be giving away a Prize: 1 of 10 $100 Walmart Gift Cards. Dates of the Giveaway are November 10 – 22, 2017. What flavor Fried Rice, Noodles or dumplings would you like to try first? Please leave me a comment below. Thai Style Chicken Fried rice is what I would like to try.